Waste Week is a fantastic opportunity to get the whole school learning about waste and thinking about how they can cut down on the amount of waste they produce, as well as how they can reduce the proportion that goes to landfill, by re-using, recycling and composting. Waste Week is run by The Pod initiative, you can request a Waste Week campaign guide from them which will give you all the information you need to run Waste Week. There are a number of ways parents and the local community can get involved in the schools waste campaign. In addition to making learning fun for pupils, the Pod’s waste week activities fit in with many areas of the national curriculum. 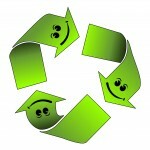 In 2013 Waste Week will have a big focus on Science and Engineering. Taking part in Waste Week activities will also help your application for an Eco-Schools award, whether you’re just starting out and ready for a bronze award or looking for a major project for your Green Flag Application. Download the Eco-Schools award guide now for more details. Schools that sign up early will be the first to receive an invitation to join in The Pod new Science initiative. 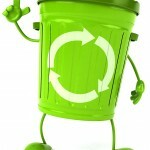 And finally, if all that wasn’t enough – schools that take part in the next campaign could win a prize in the Waste Week draw – more details of the 2013 competitions 2will be available in January. To find out more visit http://www.jointhepod.org/campaigns/waste-week/. A list of green events and campaigns can be viewed here. This entry was posted in Eco School Bishop Luffa, Eco School Shipley, Eco School Sussex blogs, Eco School West Chiltington, Eco School William Penn, Green stats, facts & news. Bookmark the permalink.